Are you an angler wishing to travel the world by themselves? Can you not get a group together and do not wish to pay single angler supplements? Are you new to the sport and wish to have an expert guide helping you through your holiday? Or are you simply looking for hosted freshwater fishing holidays where you know you will be guided by an expert who will help you every step of the way? If so then our hosted freshwater fishing holidays is what you need. From start to finish on your hosted freshwater fishing holiday your host will be on hand to help you with everything you need. This can be from tying knots, baiting up and landing fish to assisting with any problems that may arise. One of the amazing hosted freshwater fishing holidays we offer is a trip to Canadas amazing Fraser River targeting the monstrous Sturgeon that inhabit the area. 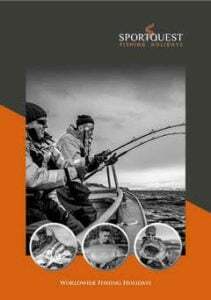 We have many anglers coming back saying this is the ultimate hosted freshwater fishing holiday available to anglers, with anglers wishing to return year after year looking for that 500lb+ sturgeon. Not only do we send anglers away to cooler destinations, we also do many hosted freshwater fishing holidays to hotter climates. These climates allow you to target some truly astonishing species in some absolutely breath-taking destinations. One top destination is our hosted Golden Dorado holidays in the jungles of Bolivia. Here you will be escorted throughout the holiday by your very own host who will ensure that you have all the help you need on your hosted freshwater holiday. Another very popular hosted freshwater fishing destination is Brazil where your host will assist you in catching some truly prehistoric looking Arapaima, this is one freshwater fishing holiday not to be missed. Whilst you are out on the bank fishing your usual lake or river think where you could be, Sportquest holidays can send you away to target the monster fish of your dreams. These hosted freshwater fishing holidays can be as relaxed or as much of an adventure as you like. Speak to us in the office and let us help you to go on the hosted freshwater fishing holiday of a lifetime. We have plenty of new hosted freshwater fishing holidays coming soon. These will include more amazing destinations where you can target some truly amazing fish. To keep up to date with our destinations and special offers, sign up to our newsletter at the bottom of the page.